If you are looking to call a city home that will strike envy into just about anyone that’s never been to California, then this is your best bet. With amazing beaches and a “winter” that averages in the 60s, the city’s most defining, and possibly most sought after, characteristic is its location. For a younger atmosphere, Pacific Beach might be your best bet. As far as the beach goes, it’s perfect for surfers looking for waves on the mellower side, though be warned: there’s always a lot of people. Also, the pet-friendly Ocean Front Walk, P.B’s boardwalk, extends for about three miles alongside the beach for those that like long walks alongside the beach with their pups along with the option of stopping at a restaurant for sunset drink. Most notable of Pacific Beach is its large concentration of students from both UCSD and SD State University that call Pacific Beach “home” for the time that they are there. What results is a wild nightlife scene (heavily concentrated on Garnet Avenue) as well as a heavy amount of tourism during school breaks (*cough* Spring Break *cough*). Living in Pacific Beach consists of many houses and apartments for rent. If you are lucky, you can find apartments with all utilities included to save on costs, however, rental prices have been going up in recent years with Pacific Beach’s rising popularity. If you’re focused on pet friendly apartments in San Diego, we’ve got you covered. Just Downtown alone would be California’s eight largest city with a population of over 28,000 and is the city’s financial center and central business district. With many business opportunities, close proximity to major schools, and central location, downtown appeals to many different groups of people. Living in downtown affords residents with amenities such as the shopping at Westfield Horton Plaza, the various restaurants, bars and clubs of the Gaslamp Quarter, and, typical of the area, easy access to the beach. Searching in downtown will land you with studio options and high-rise luxury apartments especially as you head towards East Village which has seen a lot of upscale redevelopment within the last couple years. Also, the Padre’s home stadium, PETCO Park, resides in East Village, thus great for the finders out there looking to follow their team. Also, the city is great for those that like eating food and drinking beer. Go figure. With a heavy ethnic and cultural mix as well as being right on the coast, there is a huge variety of cuisine options. Some will argue that the best Mexican food in all of California is here, but there is also a large presence of Southeast Asian and Mediterranean eateries in the city as well. Also, there are more than 70 local brew pubs and microbreweries and the city has been reviewed as “America’s Craft Beer Capitol.” Check out areas such as the Gaslamp Quarter, Little Italy, La Jolla and Old Town to be immersed in the local cuisine culture. However, there is more to the neighborhoods than just the beach. Families and those that like a sense of community should consider checking out Kensington. The community has a small-town, neighbor-friendly feel to it that is exemplified by its Memorial Day Parade, Fourth of July block party, and other neighborhood get togethers. Because Kensington is not very large, getting around on foot and heading to its village center with its own set of local theaters, restaurants and boutiques is a breeze. If you are looking to stay here long-term, try finding a rental home in Kensington before making the judgment call to buy a property. More than likely, you’ll find Kensington’s relaxed and communal atmosphere very appealing for making a long-term decision. Also, if the rental prices of Kensington are too pricey, check out its neighbors, Normal Heights and College West, for cheaper apartments with all bills paid. Bankers Hill, located north of Little Italy and eat of Balboa Park, is another neighborhood worth mentioning. Named for its history of affluent residents, many of Bankers Hill’s homes date back to the late 19th century while luxury apartments and condominiums make up many of its living options today. Thus, the neighborhood has many upscale amenities such as Croce’s Park West where you can be sure to find live music and jazz. Also, with Balboa Park right next door, residents can check out one of its many cultural museums, visit the highly-rated Zoo, see a performing arts show, or just meander through the various greenbelts. While living in this area is in high demand, using an apartment guide to find a new place will provide much better results than waiting to respond to a Craigslist ad. Good spot if you want access to PB amenities without the craziness. Walking distance to Garnet / Grand area and the beach, but far enough away that you can find parking and don't have to deal with all the drunks! 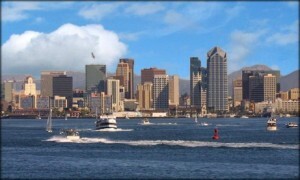 RentLingo is your trusted apartment finder in San Diego. We hire local experts, such as former property managers and locators to anonymously tour and consistently rate and review every available place. They share their honest and unbiased perspective with you, so you know how every rental ranks in the area. Because our experts tour every property, we can offer consistent apartment ratings across every region. So unlike finding a Backpage or Craigslist rental, you can trust these apartments are verified and trustworthy: whether it's a cheap studio or a one bedroom with all utilities paid all the way up to a nice house for rent or a luxury condo.